Everyone was waiting for the lucky draw. 10 lucky shoppers who had spent $100 at Mandarin Gallery won $500 shopping vouchers for more retail therapy! Before that, I spent some time walking around the mall, browsing the sales. This is the VIP fitting room of Huit, a lingerie shop (#02-24). This lovely room is nestled at a corner of the store, you need to look for it! A really cool notebook from WoodWould (#03-24). I rewarded myself with a Chirpy-chirp tape dispenser ($12.90) from the store. Exquisite stuff from MANTRA (#02-29). There is a storewide discount of 20% off. The clutch on the left has really intricate details, and is priced at $1290 before discount. If you are looking for something affordable and no less glamourous, I have found a really nice blue dress with lovely embellishments – $350 before discount. Found a lovely reptile satchel at Retail Therapy (#02-22). That shop has all my favourite stuff! This bag is at 10% off, before discount price is $730. I also saw a cute cupcake printed cotton dress from Kooshi (#03-25). And it’s on discount at about $48!! A group photo of all the bloggers! Laila, Dottie, Me, Sarah and Dinie! And special thanks again to Sarah for bringing an extra laptop for me! If you missed out on the Great Night Sale event, fret not! The sales at Mandarin Gallery will continue till 27th June 2010. For details of the store discounts, check them out here. Yeah! I am settled down right beside the Level 2 Concierge at Mandarin Gallery with my camera and iPhone in tow. There are loads of sales going on tonight – check out my Facebook and Twitter for some snapshots that I took of some of the interesting shops and their attractive offers. 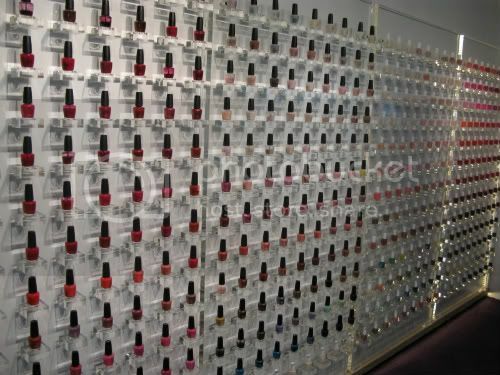 OPI and Essie heaven at SNAILS, a spa place located at #03-35+36. Spotted this lovely jumper from Retail Therapy (#02-22). 40% off its usual price of $319. Should I get this?? Come and join us now. We will be here till midnight! 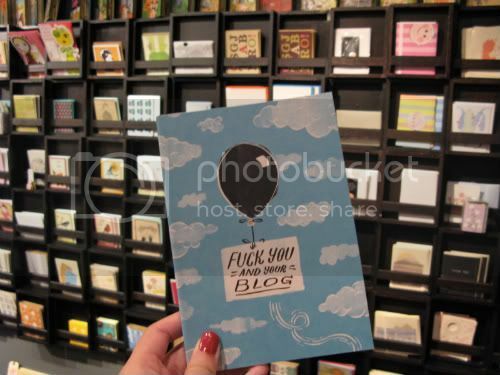 Some of you might have noticed that I have been frequenting Mandarin Gallery these days. Truth to be told, something exciting is brewing.. I will be blogging “live” with Dottie, Wottoncool, Rock The Trend and OneSixtyNotepad at Mandarin Gallery next Friday, 4th June from 9pm to 12am. If you have nothing on that evening, do drop by and say “Hi”! Follow me on Twitter, Facebook and my blog to get more details and win shopping vouchers! 15% off ala carte services and additional 15% off on Mon-Fri, 10am-2pm. Valid from 29/05/10-26/06/10 (except eve or day of public holiday). Only valid at Mandarin Gallery & not applicable for all semi-permanent treatments. Customers must quote “Mandarin Gallery GSS” to redeem offer. Not to be used in conjunction with other vouchers, offers and packages. 15% off total bill during promotional period. So, mark this event in your calendar and it’s a date at Mandarin Gallery next Friday!